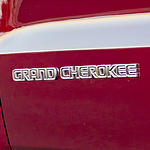 The 2019 Jeep Grand Cherokee Isn't Short On Performance | Crowfoot Dodge Chrysler Inc.
One of the main aspects that most drivers pay close attention to when shopping for a new vehicle is how a vehicle performs. Whether simply driving around Calgary or performing more intensive activities, it is good to know that your vehicle functions at a high level regardless of the situation. The 2019 Jeep Grand Cherokee was made to both perform while impressing potential drivers. Once you arrive at Crowfoot Dodge Chrysler Inc., you'll be presented with a number of features that make the Grand Cherokee and excellent SUV. The SRT model includes features that are sure to thrill. It is powered by a 6.4L V8 engine that provides track worthy acceleration. All this power is coupled with Brembo brakes that help you come to a safe stop when you want to. The 2019 Grand Cherokee also provides next level traction so that you always grip the road while driving. This is possible due to the Quadra Trac Active On-Demand 4x4 system. This system utilizes a full-time transfer case that delivers maximum traction in every driving situation imaginable. This system is available on the SRT and Trackhawk models of the Grand Cherokee.